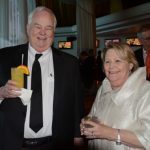 I sat down with Judy and Bryan Wagner for this Horse Player Magazine interview not long after their appearance in the 11th annual National Handicapping Championship (NHC). I met the charming and gregarious couple from New Orleans on the tournament trail several years ago and am blessed to have become friends with them during that time. Their beloved Saints (which Bryan used to own a piece of) upset the Colts to win the Super Bowl and temporarily turn their world upside down – but in a good way. 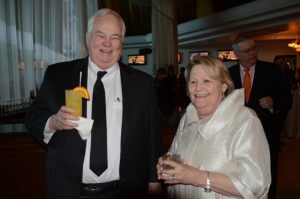 The Wagners still found time in their busy schedule to share their thoughts about the NHC, the challenge of finishing one-two in the NHC Tour last year, and handicapping in general. HP: How did you each get started with handicapping and following our great sport of horse racing? Bryan – I started by going to the track as a teenager and immediately feel in love with the track and racing. Judy – I met Bryan in late June, 1994. He took me to the track with him the next month. After my second visit to the track with him, he handed me a Racing Form and said I want a partner not a companion. He said you can learn this since you are a person that likes stats. I took the racing program the first couple of times and saw who the leading trainers and jockeys were and looked for runners that they rode or trained. HP: Winning the NHC Tour was quite an accomplishment, but finishing one-two was pretty amazing. When did you decide to go after the grand prize of the tour? Bryan – I became very involved with Congressman Joseph Cao, our first Vietnamese Congressman, in 2008. He will run for re-election in 2010. Since 2009 was an off year, I felt if either one of us could get some early Tour points this was the year to give it a shot. With the TwinSpires.com Leaderboard, other online contests, our local contests and the other contests we like to travel to, I would have the time for probably approximately 15 contests. After Judy was in first place in early May, we really started giving this more serious thought. I then won a contest in June and that pretty much sealed the deal to give it a big effort. Judy – I was very fortunate to win the first online NHC Qualify tournament of the year in April. A couple of weeks later I received points in the free NHC Tour contest on Kentucky Oaks/Derby weekend. Since there were not that many contests in the early part of the year, the total points I received in these two events put me in first place. As with all of us we like seeing our name at the top of a leader board. Although I had said in the past, once I qualified I would not go for the Tour top prize, when the rules changed where the top five finishers get the auto qualification to NHC the following year, this made me revisit my quest. Prior to the auto qualify the following year, I felt I did not have the time to play enough tournaments and the chances were so slim with the odds against me, I really did not consider going for first. With the top five getting the pass for 2011 coupled with the start I had, I decided to continue to play, especially in online tournaments. I was very fortunate to pick up more points in July online. By this point with both of us having won tournaments and having other points, we were in the top 15 and the Tour grabbed us. The year for me did not start with the goal of chasing the Tour but it grabbed me about July – really tight. It was never a situation that one of us was trying to beat the other. We were and always have been each other’s biggest cheerleaders. We were working hard at that point to try to get one of us to the top and hopefully the other in the top five. HP: I think you both knew it would be a major challenge to finish in the top five on the Tour. Just how difficult was it? Bryan – It was extremely difficult and we did not know until the last tournament of December that we both made it. Judy – In September I moved into fourth or fifth place and Bryan was in top 10. He had a good finish at Fairplex, moved into the top five, and knocked me down a few spots. Within two weeks I had two good point finishes at Fairplex and moved into first. Shortly there after, someone else moved into first. The scores were so tight it was obvious the 2009 Tour was going to be tight to the end as the scores were so close and numerous players were within striking distance. After Bryan had a first place finish, and I had a second in the TwinSpires.com Leaderboard that ended in November, Bryan was back in first and I was in the top five again. We really felt we had to be aggressive at this point to try to get the results we wanted. We made plans to play in two tournaments in December we had never participated in – Keeneland and Turfway. We both did not do well. We faced a very difficult decision about going to Surfside, leaving family on Christmas night. Steve Hartshorn was breathing down Bryan’s neck as he had won the NHC Qualify online in the middle of December. California is his home turf and he is such a strong handicapper, that we felt we had to go to fight for both of us to try to stay in the top five. I was barely hanging on to 5th position. The racing Gods smiled on us and our family forgave us for leaving children and grandchildren at 8 pm Christmas night. Bryan finished second at Surfside sealing his first place position. I was lucky and finished third. This gave me the points to move from 5th into a tie with Steve for second. We were fortunate as there were several very good handicappers that could have won or moved up. We just hung on for our handicapping lives. Yes, I would say it was difficult, but the pressure was worse. HP: Let’s talk handicapping. You each have different approaches to handicapping. Can you go into detail how you dissect a race. 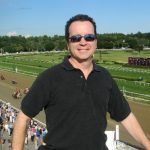 Bryan – Since I do not have to play every race, I will look at a race for about five minutes for an angle- lone speed, lone deep closer, hidden jockey change, and “better-than-it-looks” races. I will also search for one of only a few horses that can go a particularly long distance. If race is a mandatory race, I just handicap race and look for best value and how the price of the horse affects my standings in the contest. Judy – First thing I look for is to see if a runner has been the distance and condition. If not, I look at pedigree for distance and surface. My favorite races are those that are first time starters and first time on turf. I also look at trouble first trips. I feel young runners can change very quickly with even one start. Some are quick studies with one time in paddock and starting gate. Also trainer/jockey stats for conditions are very important. Some trainers are anxious to get horses to the starting gate and their stats show that runners may not be ready. Others will not send a runner to a race until they are sure they can handle race. These stats are very important in my analysis of race. Also for distance races, especially long races of 1 1/8 miles or more, I really look at experience and pedigree for runners. My favorite races to handicap are those with first turf starts and first time starters. I especially like to follow young sires. The lower profile sires with high percentage success is an angle I search for. Also, the trainer stats for this type runner is very important. Although some of the top trainers do not push their first time runners and I shy away from their runners. I really like to find an “under-the-radar” trainer that has a very high percentage for this race condition. A great example was Saturday, day two, of the NHC. In Gulfstream Park race 3, the #6 horse had a trainer with over 40% success with first turfers. The runner won at over 80-1. This was a very much under-the-radar trainer. HP: What tools do you rely on in your handicapping? Bryan – This depends on how many tracks are in a contest. If only one or two tracks are involved, I use DRF or BRIS Ultimate PPs, as well as the Sire Stats book for first time on a new surface. I will use HTR for workouts and quick stat summaries. In contests with several tracks, I also use Thorograph Sheets for a more comprehensive view of race. This also allows for a quick look at many aspects of race in a shorter period of time. Frankly, I am dissatisfied with my ability to consistently get the results I need and I am going to dedicate this year in deciding on a lone handicapping methodology. Judy – I start my handicapping with the Brisnet Insider Picks and Power Plays. I use this as my racing program. I feel naked if I go to the track without my Insider Picks & Power Plays report. On it, I note runners, trainers or jockeys that have outstanding stats. It gives me the red flags that tell me whether or not to pay attention to a particular runner. From this I go to HTR and review their stats and especially workout ratings for first time starters and first turfers. I also keep notes during the year on young sires and what their runners have done. The past workouts have really played an important part in my handicapping. I watch for layoffs and how a trainer brings runners back after layoffs. I immediately note jockey changes in the materials I use. I still have a racing form to refer to as this was my initial tool when I started my handicapping journey. I really like to compare the various information that is available. This is especially important for new sires. I never handicap without my Sire Stats book from BRIS that has several years of notes that are transferred every year. HP: Do you feel there are some handicapping factors that are over-weighted, as well as factors that not emphasized enough by the wagering public? Bryan: I think that workouts are often overlooked by the public. However, at major tracks the workouts can be overbet due to the presence of more clockers and dissemination of information. In some states, the state-bred runners are equivalent to anywhere in the country; whereas in other states, they can be vastly inferior. Judy: I think for the average player that does not really dissect the race, certain trainers and jockeys are overbet. Certainly there are excellent well known trainers and jockeys with good percentages, but I love to see these types “bet down” when I have a longer priced runner that I really like. Oftentimes, these are horses with lesser known connections. I think that the general wagering public does not get into pedigree handicapping, nor do they spend the time necessary to figure out a trainer’s strengths or weaknesses. As I like to bet first time starters, there are several well known, very successful trainers that do not push their horse first time out, and I think this is something that is overlooked numerous times by the public. Sometimes, articles and information often put out by women are not given the same type of respect as information put out by men. For example, I love the work that Lauren Stich has done in regards to pedigree information. HP: What are your favorite wagers to make? Bryan: I like to make exacta wagers, as well as the Pick-4. My favorite wager of all is when there is a carryover pool on the last day of a meet where there is a mandatory payout. Judy: As far as contests go, I like win and place wagers. In terms of betting, I prefer the dime superfecta wager, especially in a full field of maidens or two year olds. I love keying a horse that I like at 5-1 or higher in multiple trifecta partwheel tickets. HP: Bryan, you were the lone player eligible for an incredible $2 million bonus if you captured the NHC in January. How much added pressure did that put on you, and is there anything you feel that you would have done differently? Bryan: First of all, I have been to the NHC enough to realize how incredibly tough it is to win it. I would say that the favorite in a tournament like that should probably between 80 and 100-1. Secondly, I don’t get along with Vegas and the higher altitudes, so that makes it tougher on me. Thirdly, I prefer tournaments that only have a few tracks versus a lot of tracks like the NHC. With those factors in mind, I did not feel a lot of pressure. But I sure did enjoy the experience and being the Tour Champ. People were very gracious. As far as doing anything differently, I should have played some higher priced horses at the NHC. HP: Judy, I believe, this was the third time you have cashed in the National Handicapping Championship [and fourth time finishing in the top 30]. Do you approach that tournament any differently than a contest during the year, and what do you feel has been the secret of your success at the NHC? Judy: Just the common sense things. I try to go out a couple days early and be well rested. I spend a lot more time dissecting the types of races I like there, than I do at other contests during the year. I download the reports from Brisnet early in the week, and then later in the week, use some of my other tools. I keep all my notes on my form at the NHC. HP: What preparation do you typically do leading up to the NHC each year? Bryan: First of all, tracks that are running 30 to 35 days prior to the tournament – I like to look at those races so that I can judge for myself where the really tough fields are, how the track plays, and hopefully some of the “better than looks” horses will show up in the tournament. I will put them in my stable email. Secondly, BRIS reports come out with some of the information earlier than other sources. I try to get a jump on the races that way. Judy: The tracks that you assume will be used in the tournament are the ones I will watch. For the tracks I normally don’t follow, I will go through the result charts for the past several weeks to try to uncover any types of patterns, hot trainers and jockeys, etc. I am not very good with pace handicapping, but the BRIS Ultimate Past Performances will give me details on the track biases that I can note, as well as the pace ratings for each runner. HP: Since you are already qualified for the 2012 NHC thanks to your top five finishes, to what extent will you go after the tour this year? What advice would give to players participating in the tour? Bryan: I definitely plan on participating in a few tournaments this year, just because they are fun to play in. It will be great to play in a contest where there is very little pressure. If one of us happens to win a couple of tournaments in a row, then obviously it would change our plans concerning the Tour. I would love to expand on that second question in a future issue of The Horse Player magazine! Judy: I have not made a firm decision on the Tour this year. There was a lot of stress going after the Tour last year! I still have my household responsibilities, so going after the Tour the same way is a tough decision. Now, if early in the year, I win a tournament again and find myself on top of the Leaderboard, it is possible I will chase the Tour the same way. Regardless, I will certainly participate in the Tour to some extent. We are entered for the $500 level. My only advice would be that if enjoy tournament play or just handicapping in general, then you should definitely give the Tour a try. You do need to have a real competitive spirit if you are serious about doing well on the Tour. HP: Having owned horses myself for 10 years, I feel that has given me insight into the game that most handicappers don’t have. You have owned a stable for many years and have a piece of Kelly Leak, who defeated Mine That Bird in the 2009 Sunland Derby. How has owning racehorses influenced your handicapping? Bryan: This gives me great insight into why a horse might be placed in a race. In some cases they may not have been able to find a proper race so they are giving the horse a start. Sometimes you will see a horse, particularly a filly or mare, run in a stakes race in a short field just to get black type (a top three finish for their pedigree page) which enhances the breeding value. For the modest cost of getting into a partnership, I recommend every horseplayer, who can, to become an owner at least one time. Judy: Right now I don’t personally have any horse ownership. When owning horses, however, you know the importance of proper training. You tend to investigate trainers to know more about their ethics, their philosophy, etc. You tend to understand trainer patterns, such as why they may have a certain jockey on a horse. You understand more why a trainer may place a horse in a certain spot. Almost by osmosis, when working with your trainer, you pick up details on other trainers and how they handle their stock. HP: Judy, you are without a doubt one of the most accomplished female handicappers in the game. How do you feel the sport can market to women better and bring more Judy Wagners into racing? Judy: I have gotten to know a fellow female handicapper from Arkansas. I got to sit with her at Louisiana Downs. By conversing with her, she reminded me that females are less intimidated to ask other females about how they got into a certain field, hobby, whatever. I wish I had the magic answer for this, but I really don’t. I have done some seminars entitled “woman in handicapping.” One of the first things I tell woman in those seminars is to get to know the leading trainers and jockeys. Also, you can’t learn everything in a day, a week, or even a year. Choose one segment of the game and begin by learning about that. I would love to get to know more women who are committed to handicapping and learning.